Mad Mario has been fined two weeks’ wages — or approximately £350,000 — according to reports in England this morning. MANCHESTER CITY STRIKER Mario Balotelli is to appeal this week to the English Premier League against a club fine imposed for on-field ill discipline, according to reports. The 22-year-old failed to overturn the sanction internally and would now take the case to a league tribunal, Press Association said on Monday without quoting sources. Balotelli was banned for a total of eight matches last season and missed 11 games through suspension, as a European sanction was carried over from the 2010-11 campaign. The forward was instrumental in helping Italy to the final of this year’s European championships in Poland and Ukraine, scoring twice in the 2-1 semi-final victory over Germany. But Balotelli has shown erratic club form and was substituted during defending champions City’s recent derby with Manchester United, which they lost 3-2. Email “Balotelli to take fine case to league tribunal”. 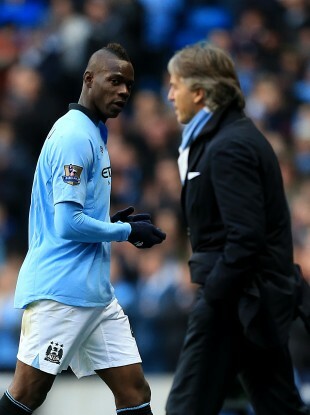 Feedback on “Balotelli to take fine case to league tribunal”.